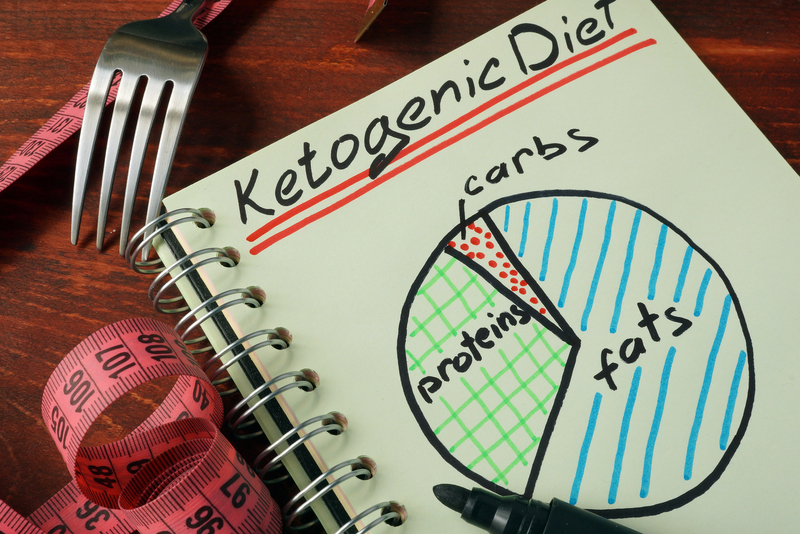 Get the facts about the ketogenic diet and find out if it’s right for you. The keto diet is a very strict low-carbohydrate, high-fat diet (similar to the Atkins diet). For example, most Americans consume around 50% carbs, 15% protein and 35% fat. A ketogenic diet, however, is somewhere around 5% carbs, 20% protein and 75% fat. Based on a 2000 kcal/day nutrition plan, this would equate to roughly 20g or less of net carbs (total dietary carbs minus total fiber), 100g of protein and the remainder of your calories from fat sources (166g). The point of a keto diet is to starve the body of carbs and overload it with fats instead to jumpstart fat burning. This process is called ketosis. Most of us are used to consuming a moderate to high-carb diet. In this case, carbs are converted to glucose to supply the body with energy that can either be immediately used or stored in our muscles and liver. When we switch over to a low-carb, high-fat diet for an extended period of time the body stops being able to rely on glucose as fuel and starts to rely on ketones instead. Ketones are the metabolic byproduct of breaking down fat in the liver for fuel. 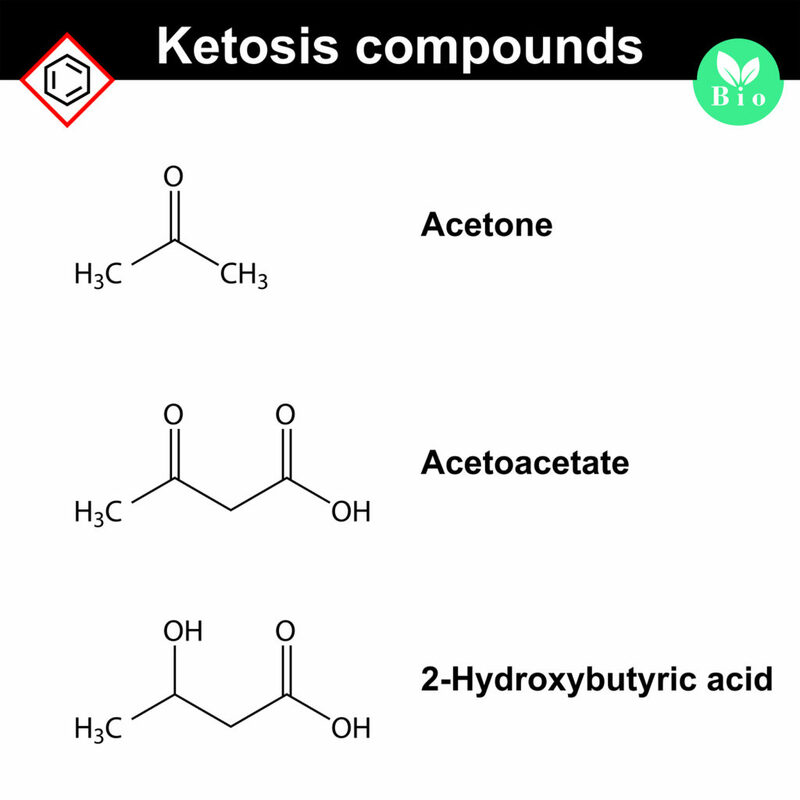 Once the body shifts to utilizing ketones as a primary fuel source, you’re body is in a state of ketosis. 1. Standard Ketogenic Diet (SKD): This is the typical low-carb, moderate protein, high-fat diet I mentioned above. It usually consists of eating 5% carbs, 20% protein and 75% fat. 2. 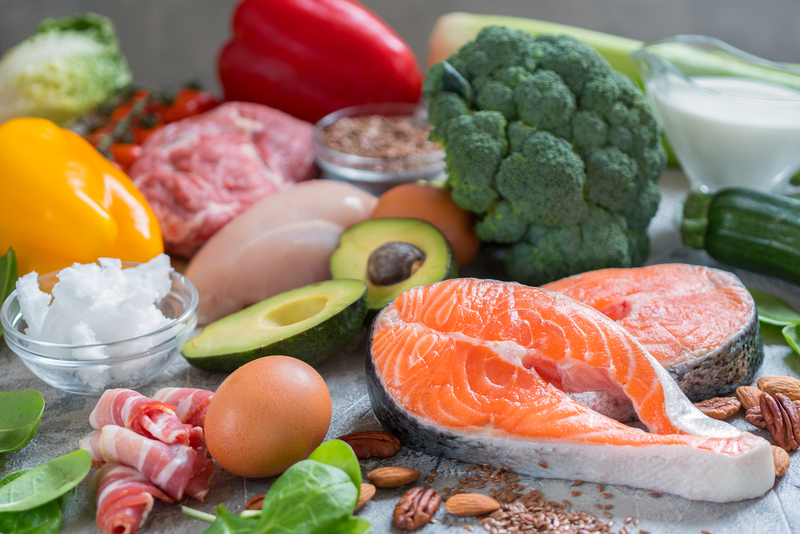 Cyclical Ketogenic Diet (CKD): Gaining popularity in the 90’s by Mauro Di Pasquale (The Anabolic Diet), CKD is the keto diet of choice for bodybuilders and elite athletes. The reason being that, unlike a SKD (high fat, moderate protein, low carb) it allows for short periods (2 days a week) of high-carb, high protein, and low fat. These high-carb (“re-feed” ) days are meant to resupply glycogen stores in order to improve strength and performance. CKD is a much more realistic way for those looking to get the benefits of a keto diet while still being able to “carb up” on weekends. 3. Targeted Ketogenic Diet (TKD): Similar to CKD, TKD allows you to eat small amounts of fast-digesting carbs around your workout. 4. 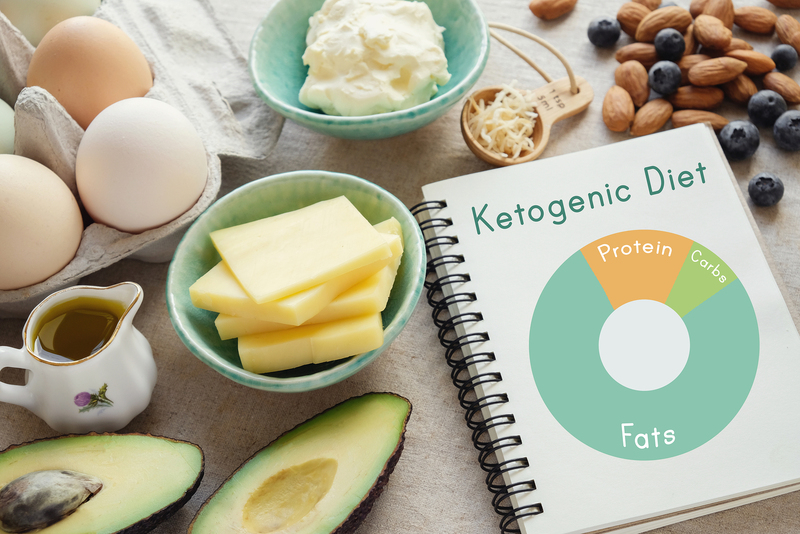 High-Protein Ketogenic Diet: This version of the keto diet is very much like the SKD, except it includes a higher ratio of protein and a lower ratio of fat. The macros are typically about 5% carbs, 35% protein and 60% fat. There are a number of different health benefits to eating a keto diet. I’m going to touch on four in particular. Weight loss/fat loss is the most popularized benefit of a ketogenic diet. There are a couple of reasons for this. Firstly, eating a keto diet doesn’t spike insulin. The reason being that the body isn’t converting carbs into glucose. This creates an optimal environment for burning fat. Secondly, fat has more calories than protein and carbs. As a result, you feel full faster and for a longer period of time without the need to count calories and track food. This can help reduce meal frequency and snacking throughout the day, ultimately leading to a total daily caloric reduction. Thirdly, eating keto mimics the same effects on the body as intermittent fasting (IF) in that it causes metabolic and hormonal changes that lead to fat loss without actually having to fast. One randomized control trial found that healthy women who ate a ketogenic diet lost twice as much weight over a six-month period as those who ate a low-calorie, low-fat diet. Similarly, a meta-analysis of randomized control trials found that participants who ate a very low-carb ketogenic diet achieved greater weight loss than those who ate a low-fat diet. The results therefore suggest that a keto diet may be a great long-term weight-loss tool against obesity. If you are suffering from type-2 diabetes or are pre-diabetic, eating a ketogenic may prove to be extremely beneficial. The reason for this is simple. When we eat carbs, they are broken down into glucose which elevates blood sugar levels. The body responds by producing insulin to bring glucose into the cells for energy or energy storage. By cutting out or severely limiting carbohydrates, blood sugar naturally remains low and there is no longer a need for insulin. One study of 84 people suffering from both obesity and diabetes found that a low-carb ketogenic diet was more effective at improving glycemic control over a 24-week period than a low-glycemic index diet. Another small study found that obese patients with type-2 diabetes who ate a ketogenic diet for two weeks improved insulin sensitivity by 75%. 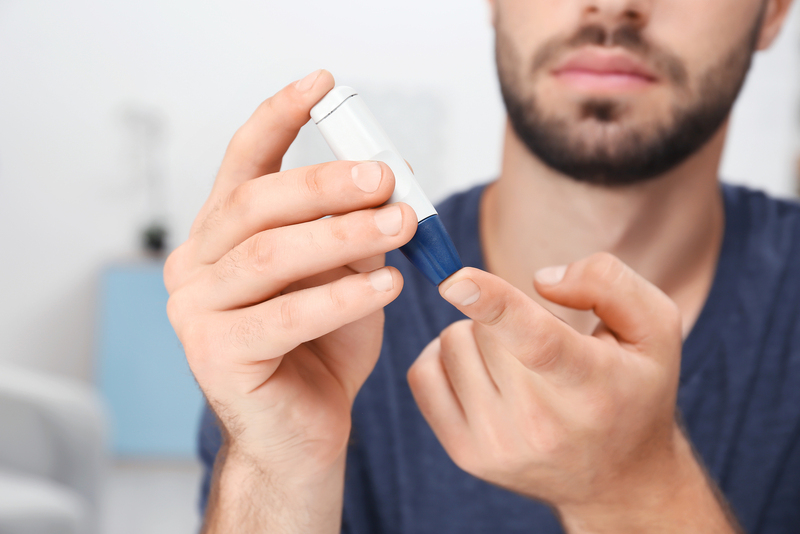 Even more impressive, a study of 21 patients with type-2 diabetes found that 7 out of the 21 patients were able to completely stop all diabetes medication following switching to a ketogenic diet. Because the brain functions well on ketones, one of the primary benefits of a ketogenic diet is improved brain function, cognition, and focus. Here’s why. 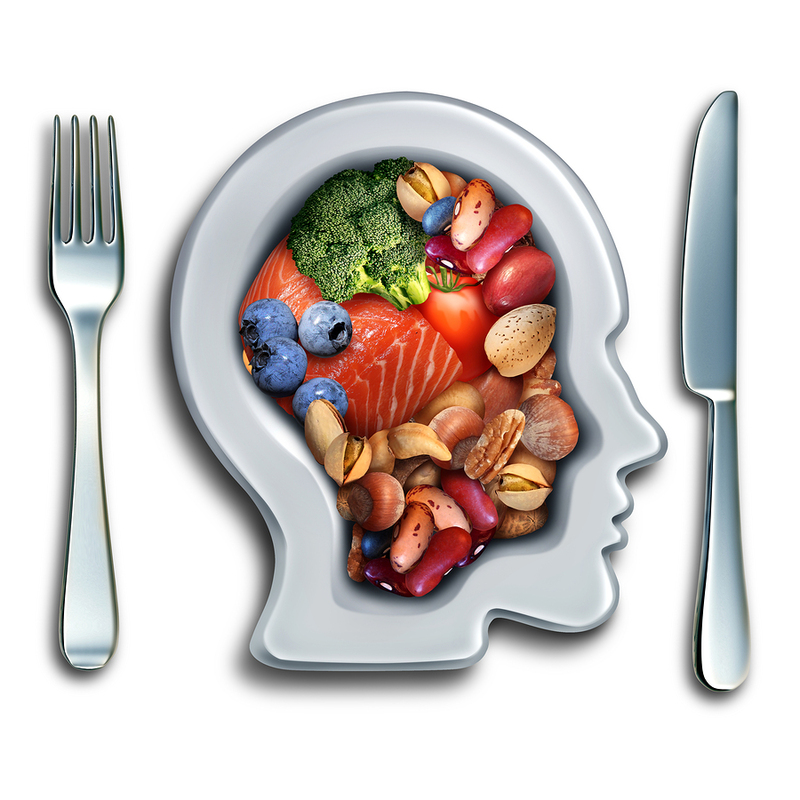 Omega-3 and omega-6 fatty acids are crucial for optimal brain health and function. However, we have to obtain these fatty acids from food sources. Therefore eating a ketogenic diet, which is high in healthy fats, helps maintain the proper balance of fatty acids. Additionally, the brain uses ketones to generate adenose triphosphate (ATP). ATP is a molecule that carries energy within your cells. The more ATP, the more energy there is available to the brain, resulting in better cognitive function. Ketones also allow the brain to more efficiently process excess glutamate (a vital neurotransmitter for stimulating the brain) to GABA or gamma-aminobutyric acid (the main neurotransmitter for reducing brain activation). This, in turn, helps decrease extra neurons from firing in the brain, thus leading to improved focus. Studies also link a keto diet with improved brain function in Alzheimer’s patients, people suffering from traumatic brain injury and Parkinson’s disease patients. Most notably, the ketogenic diet is a very effective means of mitigating seizures in epileptic patients. In fact, the keto diet was originally developed to treat kids with drug-resistant epilepsy. Numerous studies over the last 60+ years confirm that a high-fat, extremely low-carb diet minimizes, if not eliminates, epileptic seizures due to the fact that it mimics the effects of fasting. 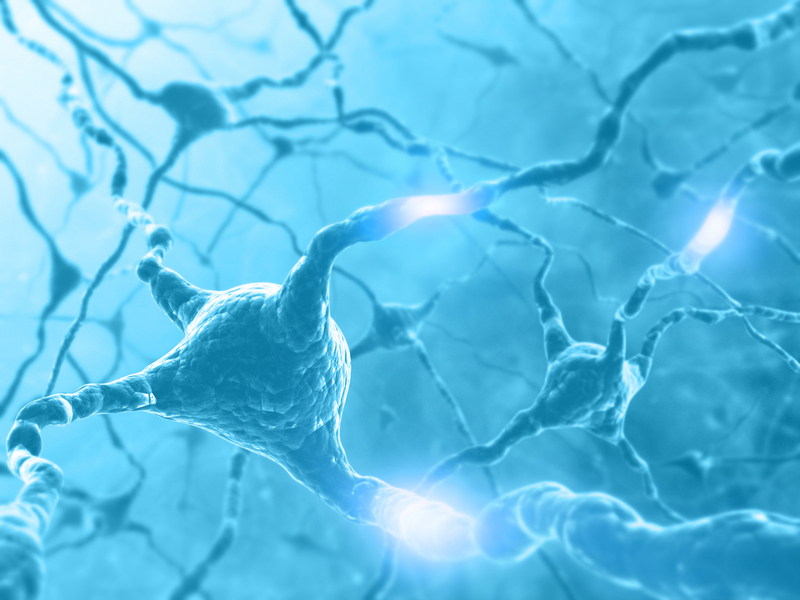 Fasting triggers biochemical changes to nerve cells preventing the brain cells from over firing, which is the cause of seizures. Additionally, there is evidence linking a keto diet to help treat cancer, heart disease, polycystic ovary syndrome (PCOS) and acne. Before you switch to a ketogenic diet, it’s beneficial to know which foods are best to consume and which ones are the worst. Here is a comprehensive list to make the switch to keto easier for you. Pro Tip: Because the keto diet involves significantly higher fat intake, and because of the recently popularized “bulletproof diet,” it’s becoming popular to add high-fat foods like MCT oil and butter to morning coffee. While this can be a beneficial way to keep fat intake higher, it’s also an easy way for people to over-do their daily caloric intake. Consider this: 1 tbsp of butter and 1 tbsp of MCT oil are equivalent to 30g of fat and 270 calories. For most people, that can equate to 10% of their daily caloric intake. Additionally, that’s a big chunk of calories with very little nutritional value. Two to three whole eggs with sautéed spinach, for example, could be a calorically equivalent meal, but contributes far more nutritional value. Pro Tip: If you’re hungry snack on nuts, seeds or full-fat cheeses (i.e. Brie or goat cheese, assuming you’re able to tolerate dairy). However, we tend to suggest sticking to a solid 3-4 meals per day. Usually, with the increase in fat intake, you will experience significantly reduced hunger and cravings, which also makes snacking an afterthought. 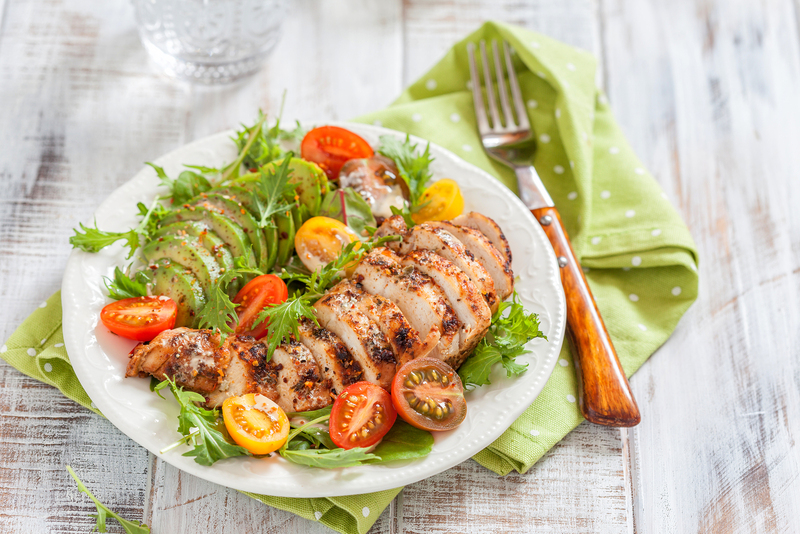 Switching to a ketogenic diet doesn’t have to be overwhelming. Here are some tips to help you get the best results possible. 1. Keep hydrated. Aim to drink at least six to eight 8oz glasses of water a day. That number will go up depending on your level of exercise. 2. Incorporate intermittent fasting. This is more for if you’ve hit a weight-loss plateau, but it is a great way to help burn more fat and boost your energy levels. 3. Exercise. 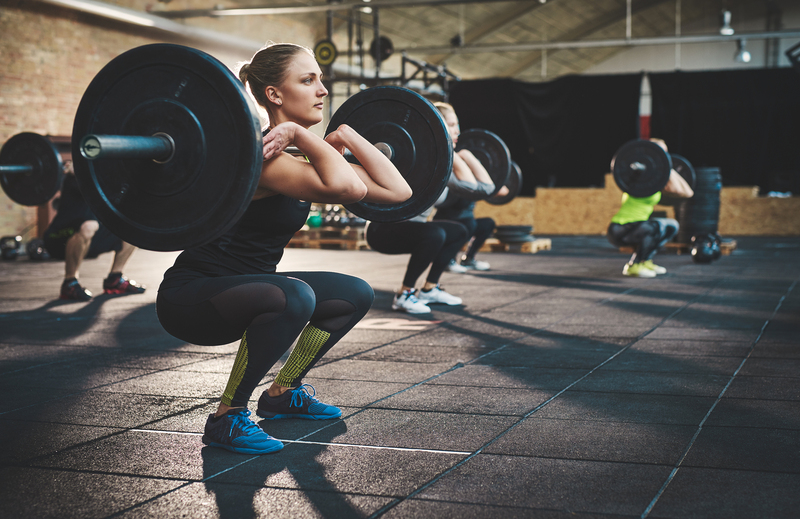 Working out induces rapid increases the expression of GLUT4 (a molecule that transports sugar from the bloodstream and stores it as glycogen in the muscles and liver), glucose transport capacity and insulin-stimulated glycogen storage in the muscles. This is beneficial because it allows your body to handle more carbs without the body storing it as fat. Exercise also helps balance blood sugar and improves the body’s ability to maintain ketosis. 4. Include supplements. I recommend taking a multivitamin/multimineral as well as digestive enzymes, including ox bile for those who may not be able to digest fats very well. 5. Plan ahead. A little bit of meal planning/prep can go a long way and reduce the stresses of coming finding foods that fit within your diet. You’re also more likely to stay on track with your diet if you have your food prepared ahead of time. 6. Track what you eat. Keeping track of the macronutrients can help ensure that you’re eating the proper ratio of protein, carbs, and fat to reach and maintain ketosis. 7. Make keto-friendly choices while eating out. Typically, this would be a piece of protein accompanied by some veggies and healthy fats (butter, olive oil, avocado). For example, at a fast food restaurant a cheeseburger with a lettuce wrap in place of a bun and no French fries. At a nice restaurant, it may be a small steak with cheesy cauliflower and/or a salad with olive oil-based dressing. The ketogenic diet is a very good option for people who are obese/overweight (or want to lose weight), diabetic/prediabetic or generally want to improve health. However, it isn’t the best option for everyone. I don’t recommend keto for athletes unless they have 6 months to 1 year to allow for appropriate adaptation to occur. Otherwise, they may not be able to effectively produce explosive energy in their given sport due to the lack of glucose and the role it plays in short-term energy system demands. This is applicable for virtually all sports, with the exception of ultra-endurance athletes who may benefit immediately from a ketogenic diet. Pro Tip: Ketones are not an optimal fuel source for short bouts of high-intensity exercise. Therefore, if you decide to try a keto diet it may be more beneficial to adjust to a more aerobic-based and/or lower-intensity type of training. While the ketogenic diet is considered safe for healthy individuals, it does take some time for the body to adapt to the replacement of carbs with more fats. People refer to this process as the “keto flu.” Symptoms include lethargy, lack of focus, hunger, nausea, stomach discomfort (cramps, constipation), poor exercise performance and sleep problems. One way to help minimize these symptoms is to start off by eating a low-carb diet for a few weeks to help get your body used to burning fat for energy. 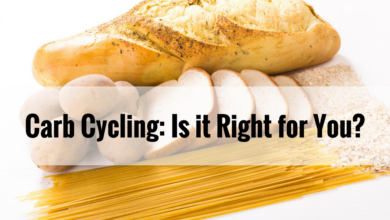 Then you can consider severely limiting or fully eliminating carbs. Additionally, the keto diet can change your body’s mineral balance. You can limit this imbalance by adding salt to your meals or supplementing with electrolytes sodium, potassium and magnesium. A ketogenic diet is a very effective diet for weight loss and can be extremely beneficial for those suffering from obesity, diabetes or metabolic syndrome. It’s also a very strong therapeutic approach for certain brain issues, cancer, and epilepsy. That being said, I think that very few people can stick to a keto diet long-term and therefore find it to be a pretty unrealistic approach to long-term healthy nutrition. 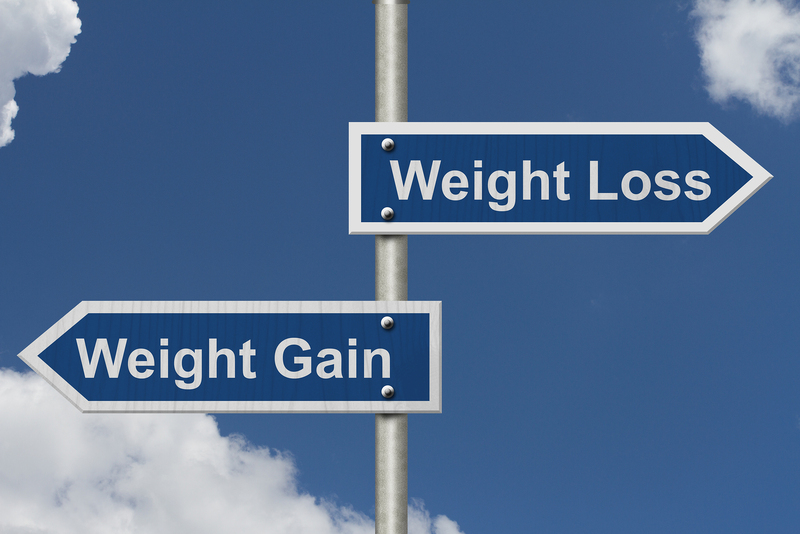 The key to sustained weight loss lies in what someone can realistically manage. And while I think the keto diet can be very effective short-term and even intermittently, I have a very hard time seeing someone realistically eating this way for a significantly prolonged period of time. 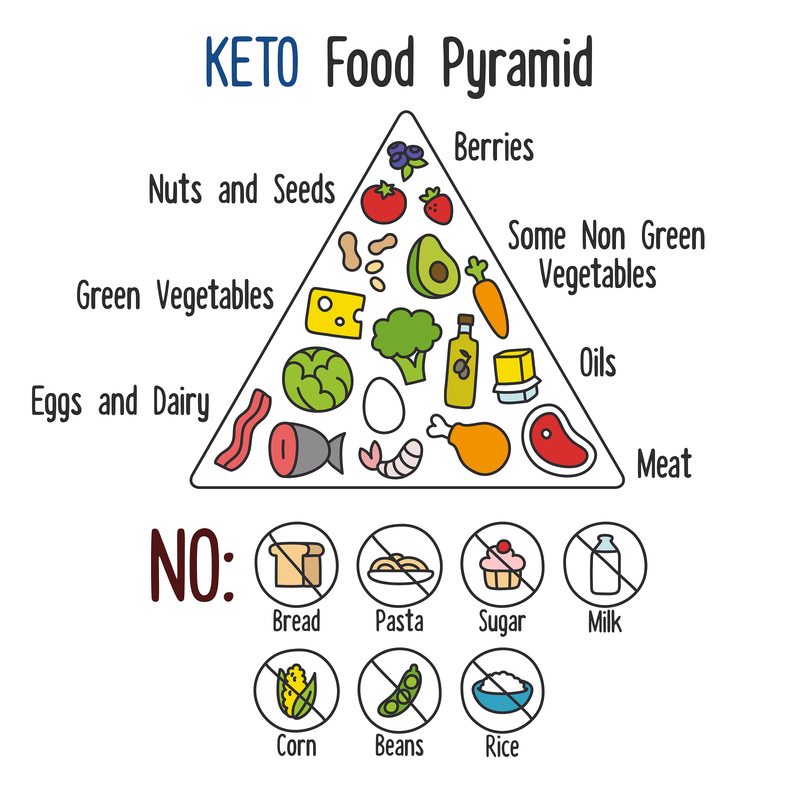 Now, if you are interested in trying a keto diet and seeing how you feel, you are open to change and have a good understanding of macros, then, by all means, give the keto diet a shot. Who knows, you may find that a ketogenic lifestyle is just the plan that you’ve been looking for. That’s the beauty with nutrition, there’s no one right way, only the way the we determine is best for each of us as an individual. The last thing I’ll add is that if you don’t have a structure for your meals or a strong understanding of your protein, carb and fat intake, then this is likely not the right first step for you. Instead, you’d probably benefit the most by working to create a more consistent routine with your meal structure, making sure you’re not eating too much daily and focusing on making better food choices. When you have a stronger grasp of your nutrition then you can give the keto diet a try.